a small hotel in town. we offer you different options to reserve. Through our request form, directly with our virtual reception desk, by telephone or by email. basic services at accesible rates. 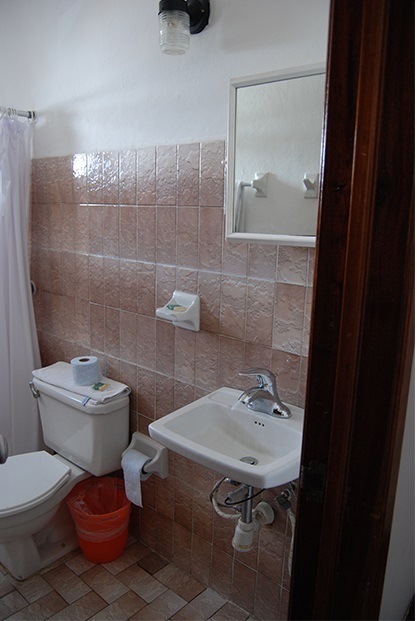 Rooms with 1, 2 or 3 beds, air conditioning and private bathroom. 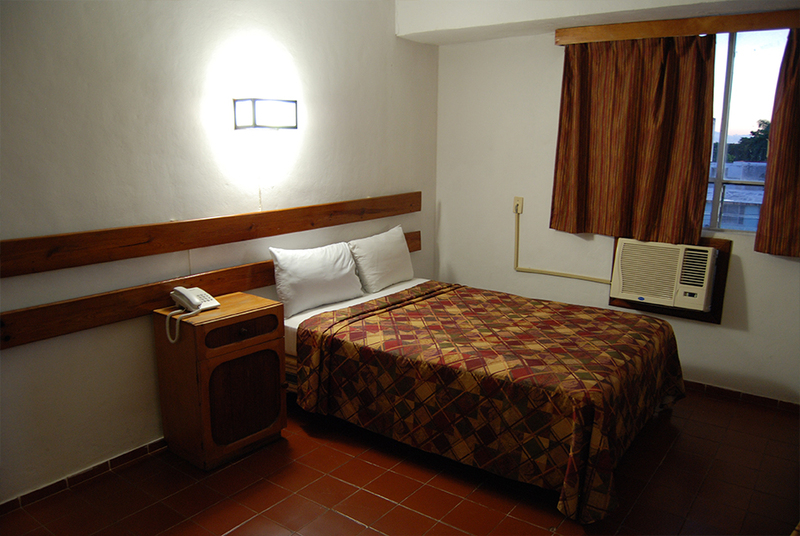 Single Room: With air conditioner, one double size bed and private bathroom. Rates starting from: $540 MXN Taxes Included. 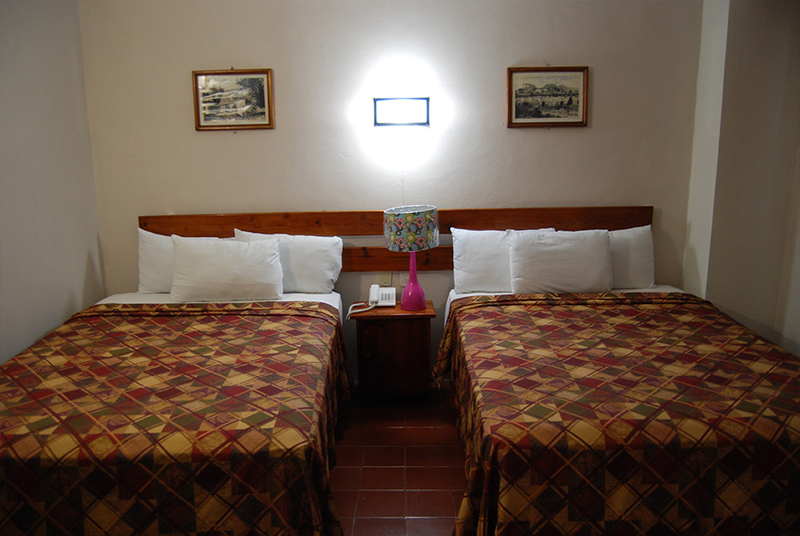 Double Room: With air conditioner, two double size beds and private bathroom. Rates starting from: $570 MXN Taxes Included. 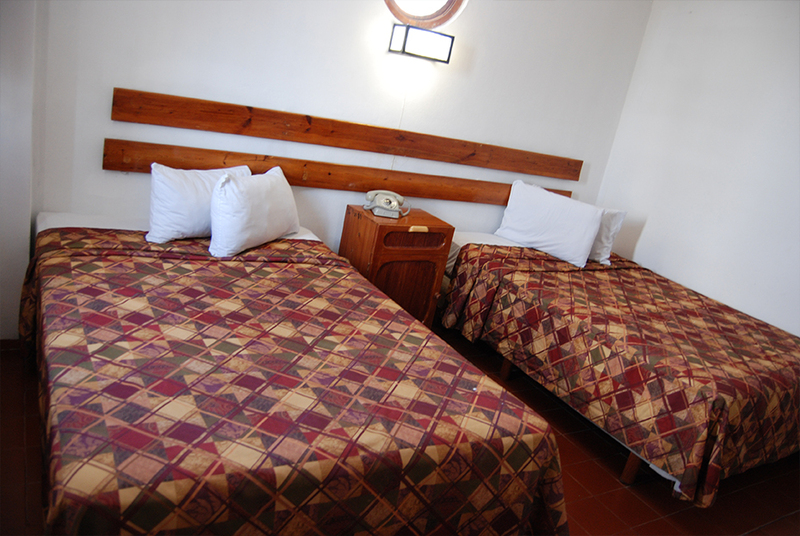 Triple Room: Room with air conditioner, three double beds and private bathroom. 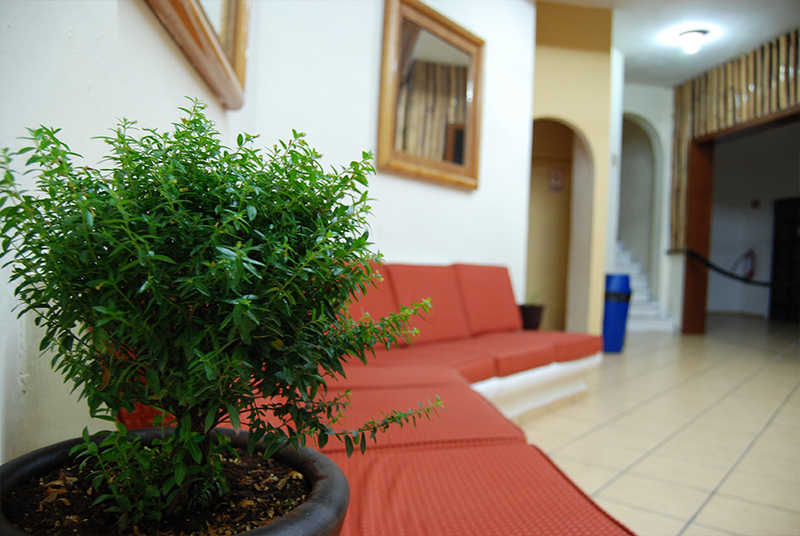 Rates starting from: $840 MXN Taxes Included. 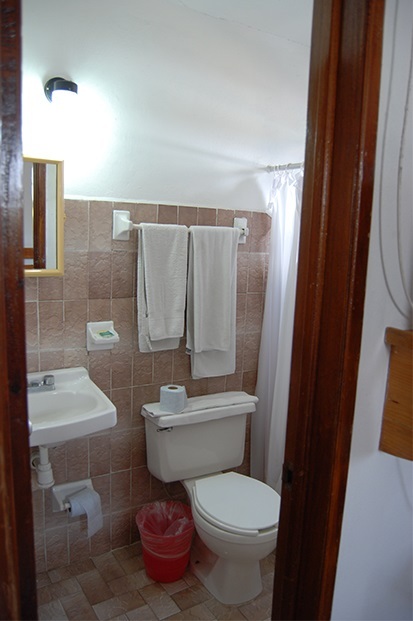 Each room has air conditioner, private bathroom and telephone. These special rates are only available through this web page and are subject to a limited number of rooms. Children, younger than 12 years old, can share the room with their parents for no additional charge. Maximum number of children depends on the type of room. 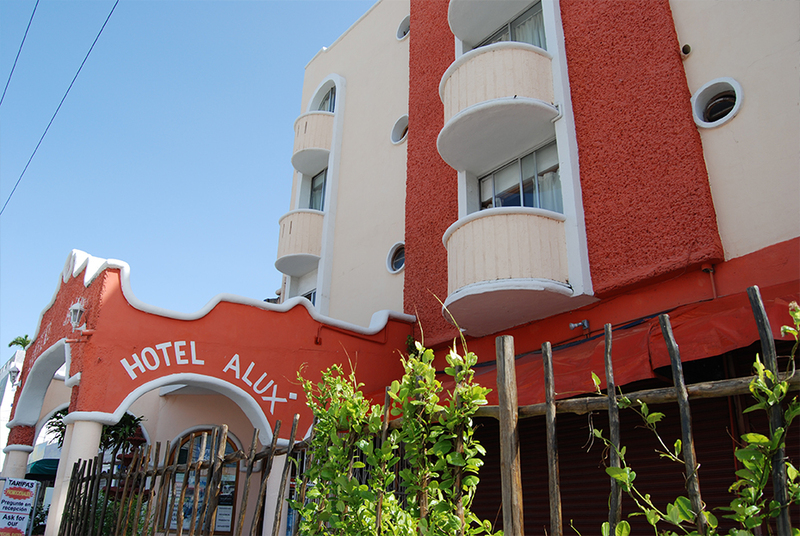 The Hotel Alux Cancún is located in the downtown area of the city of cancun, exactly one block from the bus terminal. 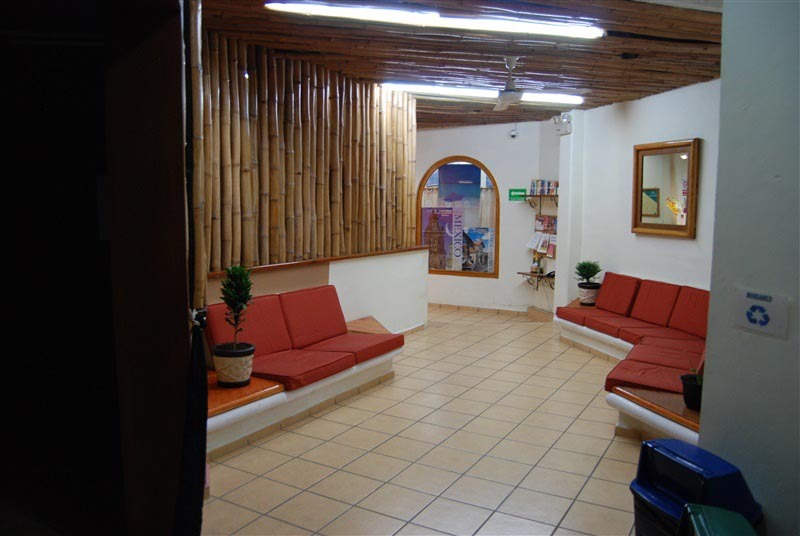 The airport is 25 minutes away by taxi or oficial transportation. 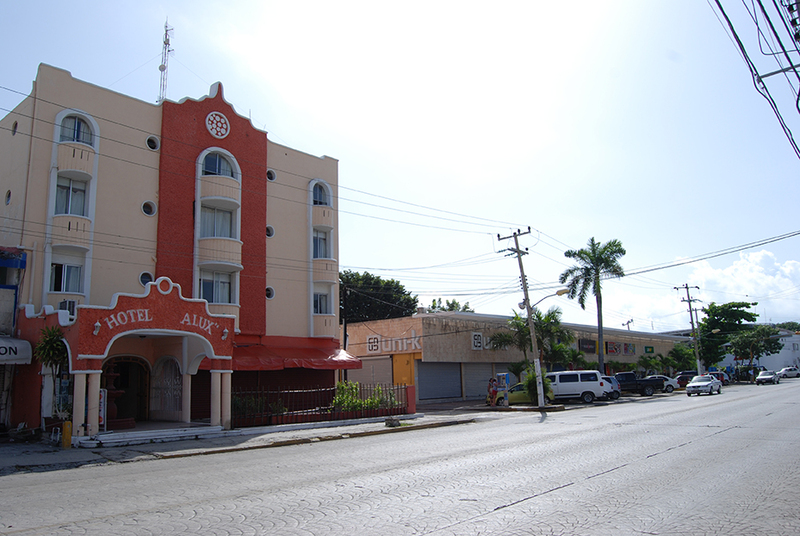 From the bus terminal, walk to the left about 20 meters to avenida uxmal. Then, continue on your right for 100 meters until Calle Laurel. 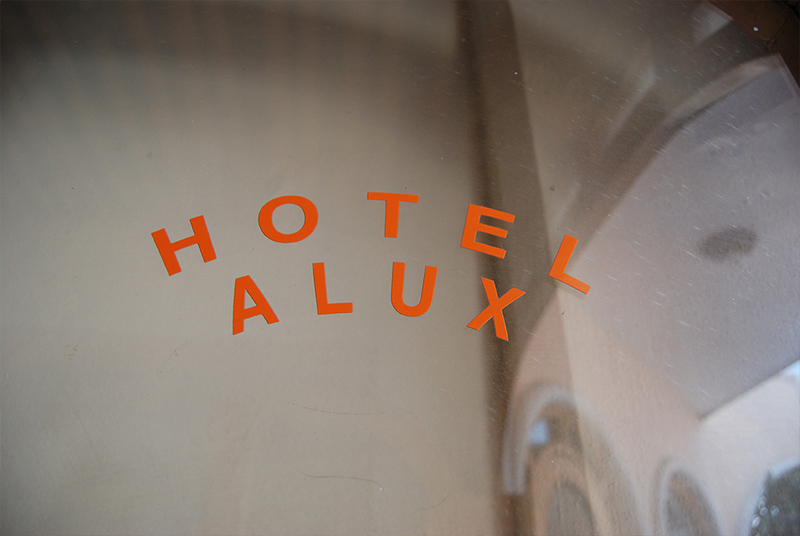 The Hotel Alux Cancún is on the corner of Avenida Uxmal and Calle Laurel. If you do not find availability through our page or online agencies for the nights that you are interested in, please write us using our form. We will do our best to accomodate you. 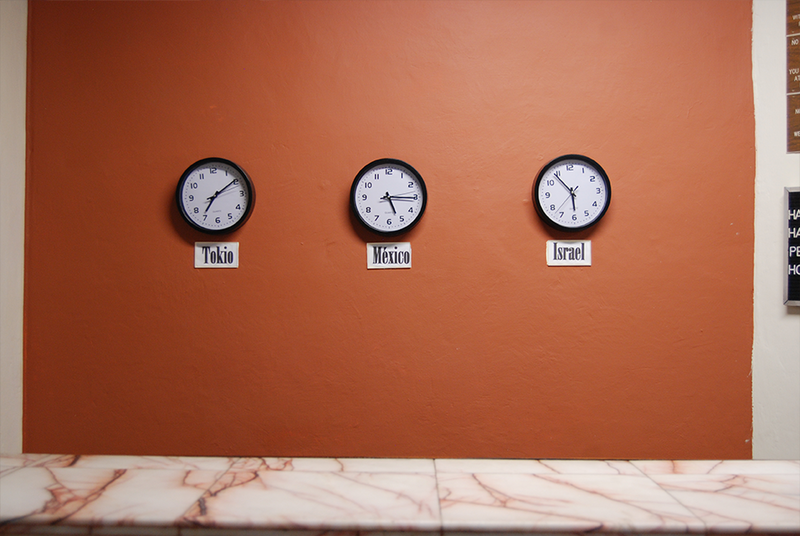 Pelase remember to mention your arrival date, arrival time at the hotel, the number of nights you wish to visit us and the type of room you are interested in. The information that we request in the contact form will be used to establish comunication with you in relation to your interests to receive information or a quote of one our products or services. The information that you enter in the contact form will not be shared, distributed or comercialized. 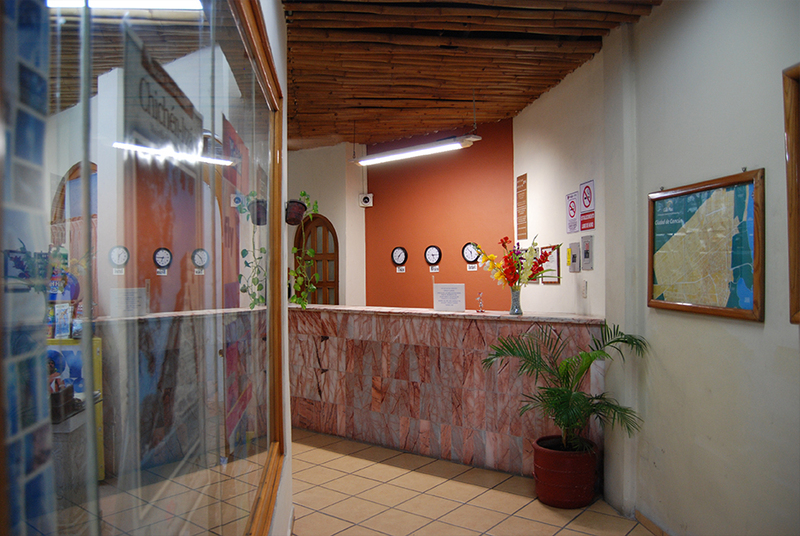 Looking for accommodation in Playa?